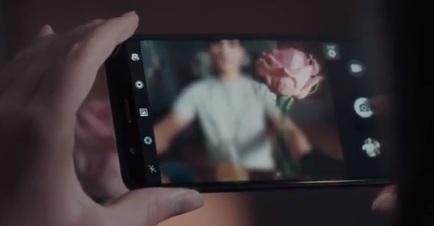 Honor UK has launched a series of new ads promoting the new Honor 7X phone. One of them, titled “Through the eyes of”, stars a young couple who use their Honor 7X phones to turn an ordinary morning into one to remember forever. The guy, who wakes up before his girlfriend, is seen taking several selfies of him and her while sleeping with her mouth open and sending them to her in order to show her he loves her anyway, then he brings her breakfast in bed, and finally, he proposes in an original way, pushing under the blanket, where she’s hiding, his phone with photo of her in portrait mode with a bride veil on her head, and waiting for her with an engagement ring on the bed. As she says Yes, they take a photo of themselves smiling so that they could share the good news with their dear ones. “With the all new Honor 7X and its beautiful FullView Display, dual lense cmera and powerful performance. Max your view, max your fun!” – the voiceover says in the 30-second spot. The 7X smartphone features 16MP Dual-lens camera, Octa-Core Processor, 18:9 FullView display, 3340 mAh Battery and 64GB Storage. The advert ends with the brand’ tagline “honor For The Brave”.